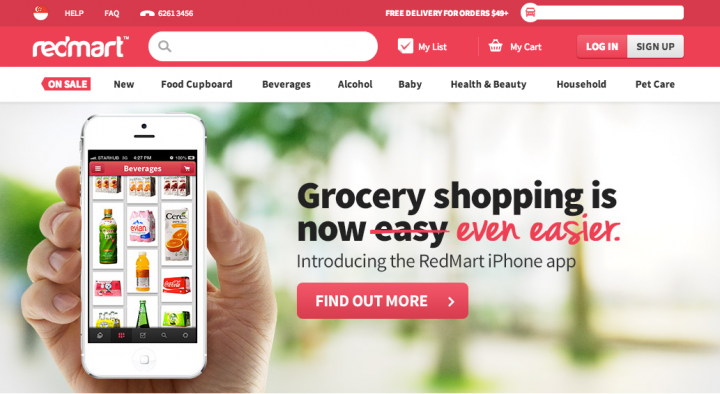 Singapore-based e-grocer Redmart has raised nearly US$27 million (S$38 million) to fund international expansion as well as give greater impetus to new products such as its own dry and fresh private label offerings. The latest funding round was led by existing investors, namely, Singapore game publishing platform Garena, Facebook co-founder Eduardo Saverin and venture-capital firms SoftBank Ventures Korea, Visionnaire Ventures and Far East Ventures. Various new investors also took part. A media statement last week said that Redmart will be raising an even larger sum later this year. To date, it has raised US$54 million. Co-founder Roger Egan told The Straits Times that the firm will open its first overseas operations early next year. The overseas Redmart operations will use the advanced proprietary technology and logistics expertise that was developed here. “What we’ve learnt in Singapore, we will adapt in each new market, sometimes significantly changing our supply chain and infrastructure to suit that market,” he added. Founded in 2011, Redmart is one of the first e-grocers in the world to not use refrigerated trucks for delivering fresh foods. It uses re-usable cooling packaging to keep things cold and fresh. This means savings in fuel costs and not having to invest in costly refrigerated trucks.